In Midland Park, NJ, Veenstra Family Dental is always ready for your dental emergency, even if you aren’t. Because throbbing toothaches or chipped teeth tend to pop up when you least expect them to, we make special arrangements to see you as quickly as possible to get you out of pain. Fast care is essential when it comes to salvaging a structurally damaged tooth. 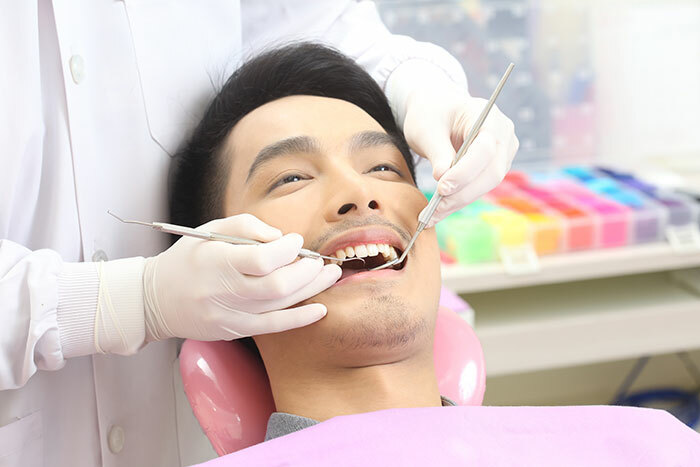 If possible, knocked out teeth can be reinserted and held in place on your way to see our emergency dentist in Midland Park, NJ. Just gently rinse the tooth off first, taking care not to scrub or touch the root. Broken fragments or teeth that can’t be reinserted should be stored in a cup of milk and brought to our office within the next hour. Before moving forward with treatments such as a filling or extraction, the Veenstra Family Dental team will do everything to ensure that you’re comfortable. At that point, we’ll discuss what options are available to repair your tooth or manage an underlying infection, so that you don’t feel rushed or pressured to make a decision while you’re in pain. For emergency dental care in Midland Park, NJ, contact Veenstra Family Dental today. New patients of all ages are always welcome! Flexible payment options are available to help you afford the care you need.